Hi! I am so glad that you stopped by my blog! Every single day presents us with the opportunity to grow, learn, discover, and collaborate with each other. I plan to share my thoughts on my personal learning, growing, and reflections with hopes that you will benefit from that, too. I am passionate about education, running, reflecting, and my faith in God, so that's what I plan to blog about! I would love to collaborate and hear your thoughts and insights on my posts, so make sure you subscribe to my blog! For quite a few months, I have been dwelling on this and cannot get it off my mind, so I decided to blog about it! 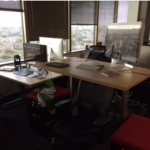 I have been thinking that we need to start calling classrooms “Learning Labs.” Why? 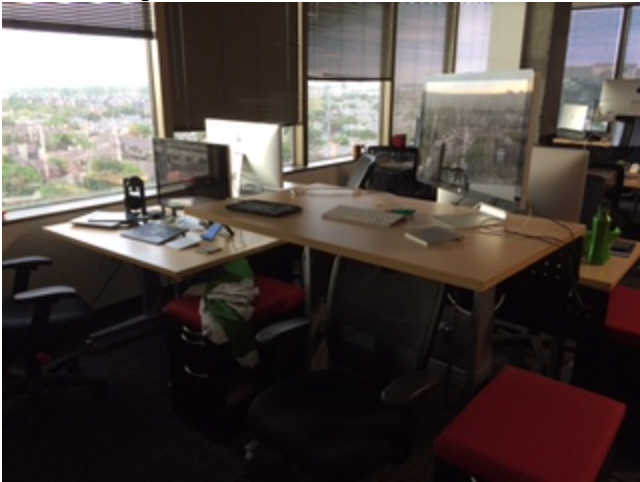 Learning labs connotate, at least to me, a place where learning takes place…for students and teachers! You may be asking, “Well, isn’t that what a classroom is?” In my opinion, NO! A classroom, to me, connotates a room with a class. It doesn’t necessarily mean that they are learning. They can just be occupying that room. But, in a learning lab, the students are learning, experimenting, inquiring, applying, analyzing, evaluating, and creating! The possibilities seem endless!!!! I know it’s just a name, but to me it means so much more than that! It’s also a place for teachers to learn from each other. When teachers open their doors to their colleagues, it becomes a learning lab for them, as well. They are doing the same as the students…learning, inquiring, analyzing, evaluating, and then applying, experimenting, and creating in their own learning labs. Computer LABS and Science LABS are used for these reasons as well, so shouldn’t we rename “classrooms” to “learning labs”?? Don’t you think that the students would not only love it, but have a different perspective about what should and WILL take place in that room/lab? Parents, too!!!! This past month, I was privileged to be able to attend the National Educators’ Conference at the Ron Clark Academy (RCA). If you have never visited RCA, I strongly urge you to go…and soon! To be in the presence of such amazing educators, leaders, Runners (I’ll explain in a minute), and (most importantly) students, was absolutely a life-changing experience. It was there that I learned that Ron Clark had a new book coming out titled Move Your Bus. Now, I was familiar with his bus analogy because he actually came to our district at the beginning of last year and was the speaker for our convocation. What he had to say literally left me more on fire as an educator than I have ever been before! Move Your Bus came out this past Tuesday and I immediately bought it, sat down and read it from cover-to-cover. I was so excited about Every. Single. Word. I couldn’t contain my excitement, so I sat there and Tweeted quote-after-quote that stood out to me! Which was basically every other sentence! (Sorry to those Tweeters, if I annoyed you! :)) But, seriously. It is that good! *Treating everyone fairly isn’t treating everyone equally. *If you don’t have a strong work ethic, then you are slowing down the bus. *Getting a team of Runners to run long and hard with passion and energy is what moves the bus. *As an administrator, there is nothing you can do that is more detrimental to the organization than kill the spirit of your Runners. *If you aren’t quite running at your job, then the last thing you want to do is get in the way of those who are. *Sometimes it’s great to ask for direction, for help, or for clarity. It’s not seen as a weakness. Instead, it makes it clear that you care enough about a project or task to be sure you get it right. *In order to start running, the place to do it isn’t in the idea department; it’s in the hard work department. *Credibility might be the single most desirable trait you can cultivate in yourself, because it encompasses so much. * Give Runners the visibility they deserve and help those who are jealous and seek to marginalize Runners contributions to get over it! I am going to stop there, because I want to you to go buy the book, read it, and RUN!!!!!!! 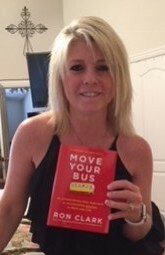 After you have read Move Your Bus, I would LOVE to hear from you! Let me know your thoughts and what your takeaways were after reading it. To order your autographed copy, go here. To hear Ron Clark speak about Move Your Bus, click here. 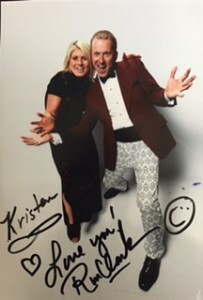 Thank you, Ron Clark, for being an amazing model of an exceptional Runner in education and as a businessman. Since attending the National Educators’ Conference at RCA, I have set my dreams and visions in motion. I wrote a grant for $2,500 to a local business to help fund a special Red Carpet Event for our students, parents, and community. This will include hanging 60+ posters/pictures of our students all around the building. I have contacted the manager at a local bookstore who is donating gift baskets, books, candles, etc., as teacher giveaways (for our Runners/Joggers). I have met with community leaders to discuss partnerships with our school. I am setting the wheels in motion to begin the House system on our campus. And, the list goes on and on. I am so excited for what this year has in store! I am truly grateful for the motivation and inspiration that you have provided to me and thousands of educators and business leaders. Thank you. Track coach Jim White (Kevin Costner) is a newcomer to a predominantly Latino high-school in California’s Central Valley. Coach White and his new students find that they have much to learn about one another, but things begin to change when White realizes the boys’ exceptional running ability. More than just physical prowess drives the teens to succeed; their strong family ties, incredible work ethic and commitment to their team all play a factor in forging these novice runners into champions. 10. There will always be challenges and obstacles in life. How you react to them will determine whether you have a positive or negative outcome. 9. When you get to a hill…SMILE. Lean in (physically and spiritually) and just get up the hill. You will get to the top eventually. Just keep moving and praying. 8. Running, like life, requires putting one foot in front of the other. Don’t quit and don’t stop. If you fall, get back up. 6. Failure can make you bitter or better. It’s a choice. YOUR choice. 4. Be the person, that you would want to be around, to others. Especially your students. Show your students that you believe in them by encouraging them, motivating them, and setting high-expectations and standards. Don’t allow them to settle for less than they are capable of achieving. 3. If you’re going to be a by-stander, be an encourager not a discourager. It takes the same amount of energy to be happy as it does to be miserable! 2. Live by the Golden Rule. “Do to others as you would have them do to you.” Luke 6:31 (NIV) You never know what people are going through. Be kind. 1. Life is a marathon, not a sprint. It’s what you do and learn on the journey that matters. Crossing the finish line and getting the medal is the reward for all the blood, sweat, and tears that it took to get to the start line. The medal means nothing without the work it took to earn that medal. 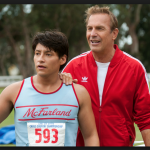 If you haven’t seen McFarland, USA, I strongly urge you to go see it. After you see it, come back here and post your thoughts and tell me what you learned from watching it! Research shows that retention does not help students catch up (Shepard & Smith, 1990; Jimerson, 2001). Retained children may appear to do better in the short-term, but they are at much greater risk for future failure than their equally achieving, non-retained peers (Shepard & Smith, 1990, p. 84). In fact, there is a direct correlation between grade retention in elementary school and dropping out of high school (Jimerson, Anderson, & Whipple, 2002). One study reported that up to 78% of dropouts were retained at least once (Tuck, 1989). Grade retention has been identified as the single most powerful predictor of dropping out (Rumberger, 1995). So, what is the answer? 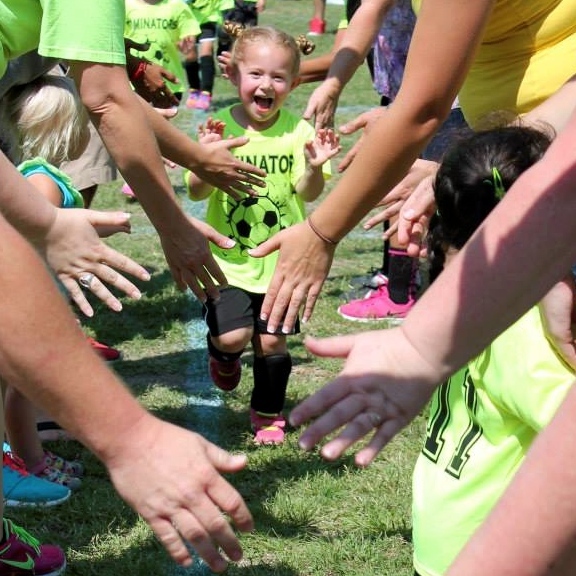 If a child is not “passing,” are you just supposed to promote them and move on? Won’t they continue to fall behind and never catch up? Jimerson suggests that attention must be directed toward alternative remedial strategies. Researchers, educators, administrators, and legislators should commit to implement and investigate specific remedial intervention strategies designed to facilitate socioemotional adjustment and educational achievement of our nation’s youth (p. 16). From a reading standpoint, Richard Allington states, ” Too few schools offer effective remediation for older struggling readers. As a result, too many students don’t learn much from textbooks that they can’t read.” I think that this can also be said of younger students. If we continue to “shove” grade-level texts in front of students, when they can’t read on grade level, how can they learn if they can’t read it? Research shows that those students fall further behind. If we assess student’s reading levels, instruct them where they are, and propel them forward with scaffolding and leveled questioning, we can expect to see gains. Not only academically, but in the student’s self-esteem and confidence. Once again, Richard Allington says it best. When students read accurately, they solidify their word-recognition, decoding, and word-analysis skills. Perhaps more important, they are likely to understand what they read—and, as a result, to enjoy reading. In contrast, struggling students who spend the same amount of time reading texts that they can’t read accurately are at a disadvantage in several important ways. First, they read less text; it’s slow going when you encounter many words you don’t recognize instantly. Second, struggling readers are less likely to understand (and therefore enjoy) what they read. They are likely to become frustrated when reading these difficult texts and therefore to lose confidence in their word-attack, decoding, or word-recognition skills. Thus, a struggling reader and a successful reader who engage in the same 15-minute independent reading session do not necessarily receive equivalent practice, and they are likely to experience different outcomes. So, reflecting on my biggest regret, I wonder where “she” is today. Did she graduate from high school? Did she overcome my decision and become successful despite her grade retention? I have tried to find her on social media, but to no avail. If I did, I would tell her that she did not fail me, I failed her. I learned from that. I immersed myself in professional books and trainings and equipped myself with the knowledge of how to intervene for students who “weren’t getting it.” Now I know, and I try to empower and equip teachers with the knowledge on intervening so that students are successful and can perform on grade level. Reflect on your teaching practices. What do you do ensure that your students succeed? What do you do for intervention? What are your thoughts on grade retention? Allington, R. L. (2002). You can’t learn much from books you can’t read. Educational Leadership, 60(3), 16-19. Jimerson, S. R., Anderson, G. E., & Whipple, A. D. (2002). Winning the battle and losing the war: Examining the relation between grade retention and dropping out of high school. Psychology in the Schools, 39(4), 441-457. Jimerson, S. R. (2001). Meta-analysis of grade retention research: Implications for practice in the 21st century. School Psychology Review, 30(3), 420-437. Shepard, L.S., & Smith, M.L. (1990). Synthesis of research on grade retention. Educational Leadership, 47, 84-88.
of the American Educational Research Association, San Francisco, CA. How Much of a Difference Do Teachers REALLY Make? As I begin my 20th year in the field of Education tomorrow, I couldn’t help but reflect on the importance of what we do as educators every single day. If you are in education, and ever wonder if you really make a difference, let me share some research with you. If children come from high-quality classrooms, even if they have low home support, they have 100% chance for success. 100%! So, if you have ever let the words “Their parents don’t help them!” utter from your lips, rethink that thought before you say it again. What are that same child’s chance for success if they have mediocre classroom support with low home support? Their chances for success drop to a whopping 25%!! And, even more alarming, if students come from a classroom with low support and low home support, they have 0% chance for success. ZERO. So, as you begin this school year, if you’re wondering if you REALLY make a difference, know that you do! Reflect on what you do, as a classroom teacher, that makes a difference for your students. What sets you apart? Is your classroom a high, mixed, or low support classroom? What can you do to foster a positive home-school connection? Blessings to you and your students as you begin this new chapter! Allington, Richard, Cunningham, Patricia (1994). Classrooms that Work: They Can All Read and Write (1st Edition). Allyn & Bacon. Snow, C. E., Barnes, W. S., Chandler, J., Goodman, I. F., & Hemphill, L. (1991). Unfulfilled expectations: Home and school influences on literacy.. Harvard University Press. In my last (which was my first) post, I talked about labels. Telling someone that they are smart is labeling, wouldn’t you agree? That is a positive label, so what harm could that possibly do? Now, before I go any further, let me tell you that I am the #1 guilty party in this room! I, too, thought that telling someone that they are smart (namely, my daughter) could only boost their ego and self-esteem. What I didn’t realize was the harm that it could actually do. In Dr. Carol Dweck’s book Mindset, she tells about the danger of praise and positive labels. 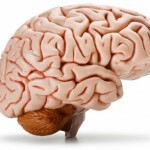 She did a study where hundreds of students were given a set of ten fairly difficult problems from a nonverbal IQ test. They did well and were praised. Some were praised for their ABILITY (“You are smart! ), and some were praised for their EFFORT (“You worked hard!”). What was the difference? The students praised for their effort weren’t made to feel that they had some special gift; they were praised for doing what it takes to succeed. What do you think happened? The students that were praised for their ability fell into the fixed mindset. They feared any task that could make them look unintelligent. On the other hand, 90% of the students who were praised for their effort looked forward to a challenging task. When these same students were given some hard new problems, the ability students now thought that they were not smart. The effort students looked at it as they just needed to apply more effort. They didn’t see it as failure. I don’t know about you, but this hit me square in the eye! I am guilty of telling students (and my daughter), “Oh, my goodness! 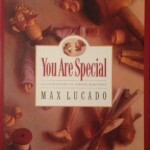 You are so smart!” Since reading Mindset, I now pay attention to WHAT I praise in a person. It goes hand-in-hand with behavior/discipline. We want to separate the child from the behavior. If the child misbehaves, we tell them, “I love you. I do not love your behavior.” With praising ability, it is the child. With praising effort, it is the behavior. By praising the effort we are giving the opportunity for the person to have a growth mindset. Isn’t it amazing how powerful our words are? Reflect for a minute on how you praise your students. Your own children. Yourself. Are you praising the ability or the effort? (2005). MindSet: A Book written by Carol Dweck. Teaching a growth … Retrieved August 18, 2014, from http://mindsetonline.com/. Wow. My first blog post…where do I begin?! First of all, a big shout-out and thank you to Amber Teamann for encouraging me to blog! And, not to mention that she won the contest for the name of my blog (which I tweaked just a little :)) I still owe you dinner, my friend! So, what is wrong with labels? I was fortunate to be part of an online Book Study this summer that was facilitated by author, Angela Watson. Angela wrote an amazing book titled Awakened: Change Your Mindset to Transform Your Teaching. But, honestly, even those who are not teachers could benefit greatly from reading this fabulous book! 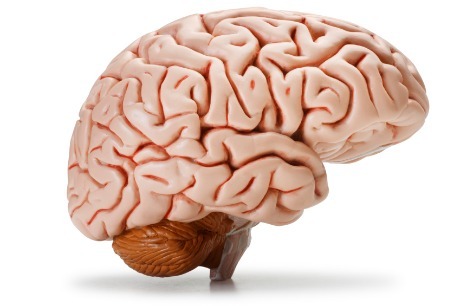 Angela says, “Fortunately, thoughts only hold power if you give them attention and attach importance. You can choose your mindset by only attending to thoughts that are wanted. It’s a principle, it’s just that simple. Determine the way you want to think and disregard any thoughts that don’t align with your choice.” [Page 24] She talks about reframing your thoughts, from negative to positive. 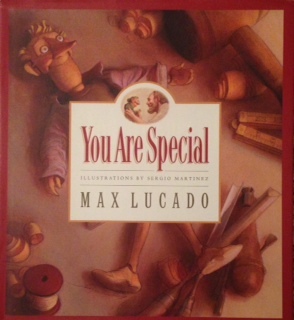 In Max Lucado’s picture book, You Are Special, small wooden people, called Wemmicks, put golden star stickers and gray dot stickers (labels) on each other all day long. The golden stars go to the talented, well liked, smart, and beautiful Wemmicks. The gray dots go to the chipped, scratched, and uncoordinated Wemmicks. But, one Wemmick, Punchinello, who receives only gray dot stickers (which has caused him very low self-esteem), meets Lucia, who has no stickers at all. The stickers don’t seem to stick to Lucia. Lucia refers Punchinello to Eli, the woodcarver who created all the Wemmicks. Eli proceeds to tell Punchinello that, “The stickers only stick if you let them.” Eli learns that he is loved and accepted, no matter what others may say his faults are. Think about the labels you feed yourself. What about the ones you have chosen to believe and hold onto from others? Is your identity caught up in those labels? Do you have golden stars or gray dots? Or do you not have any stickers at all? What about the labels you have given others, including your students (if you’re a teacher), your spouse, your children? I encourage you to let go of those negative labels and not let them become a part of your identity. And, let go of the labels you place on others, too. You are fearfully and wonderfully made…live like it!